Northline’s mission is to not be reactionary – we believe all accidents can be prevented. We record all incidents, including minor, non-reportable observations (anything unplanned). Observations allow us to take immediate mitigating actions, before a more serious incident occurs. Northline utilizes an online application called SafetyNet from Predictive Solutions that allows for real time job site assessments (JSAs) to be performed, documented and distributed to the Northline Management Community, leadership roles in the field and our customers. 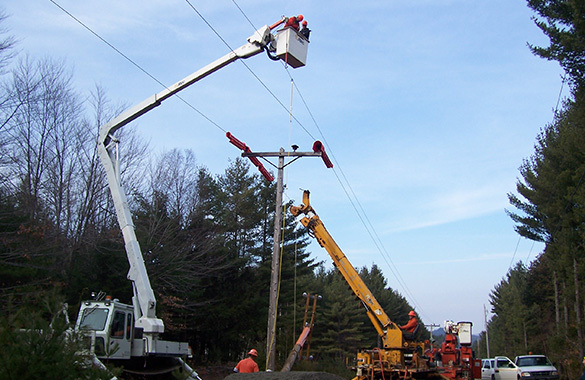 As our field personnel come from various IBEW union halls, areas and states, we have realized the importance of inducting them into our safety culture from the first moment they are hired. Through a customized online application, we have developed a new hire safety orientation and test that communicates clearly how important safety is to Northline's culture. Northline Utilities is responsible for carrying out planning, project management, and construction, as required, on behalf of our customers. We believe it is our duty and responsibility to minimize the environmental impact of our activities, products, and services. We promote environmental awareness and establish the behaviors and values that frame our goals for ensuring the protection, enhancement, and sustainability of the environment. We promote continual improvement by encouraging open and constructive dialogue with all persons involved with our activities and other stakeholders, to continually challenge our environmental protection-related performance.